Looking for a truly unique spot to host your next gathering? 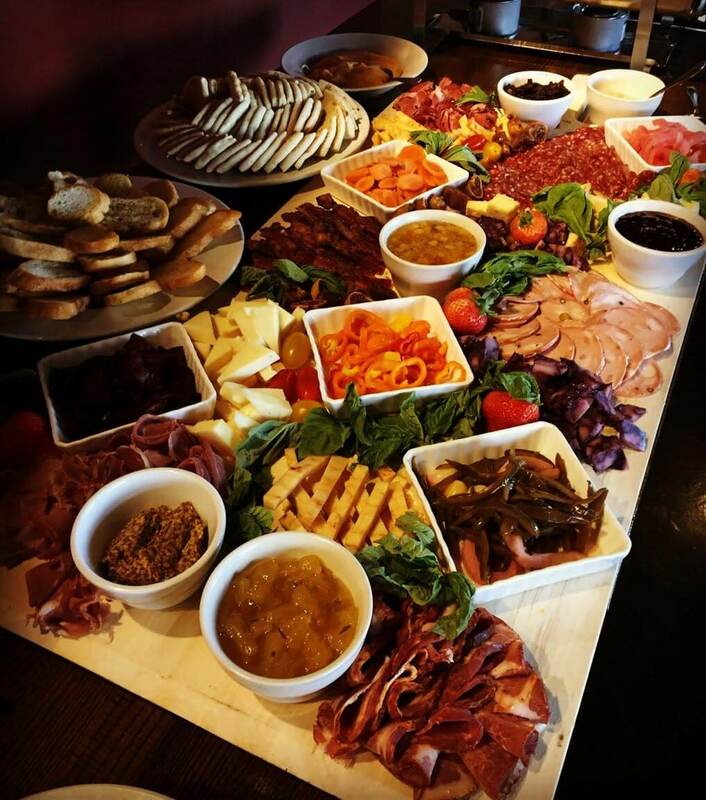 We pride ourselves as the go-to for private events in the booming Northland! Whether you’re planning a get-together for 20 or a much larger group, Calibration’s catering, brews and staff ensure a memorable event. We’ve partnered with fun-seekers & organizations since 2016 for happy hours, business meetings, holiday parties & celebrations. Pictured: Calibration’s Butcher’s Block for a group of 30! Taproom Takeover: The entire taproom front of house can be yours. Ideal for holiday events, wedding parties, business functions, rehearsal dinners, reunions, happy hour events, awards ceremonies and networking events. Offer your guests a customized menu selection (buffet or prix fixe), share presentations on LED screens, present to the group on our house PA… the room is yours. Reserved Seating in Brewery: Choose a section of tables or our popular lounge area in the back of the taproom to accommodate your group for a specified time frame. Suitable for semi-private functions with 15-30 guests. Special Ticketed Events: Could your service use a little Calibration by way of our 16 brews on tap? We’ve had great success partnering with individuals who do ticketed events (art parties, yoga, instructional) and offer craft beer as an added bonus for their clients. To check availability and book your event, email us or call (816) 994-8277. Group event pricing works several ways: beverage/food minimums based on number of attendees, drink tickets issued for guests, flat room buyout fee or a combination of both. Subscribe for updates + more!